How to find the soft innovation that will make your product, service, school, church, or career worth talking about. We live in an era of too much noise, too much clutter, too many choices, and too much spam. And as Seth Godin's 200,000-copy bestseller Purple Cow taught the business world, the old ways of marketing simply don't work anymore. The best way to sell anything these days is through word of mouth and the only real way to get word of mouth is to create something remarkable. 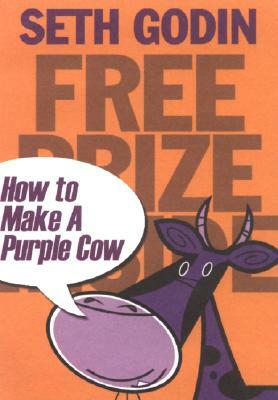 Free Prize Inside, the sequel to Purple Cow, explains how to do just that. It's jammed with practical ideas you can use right now to make your product or service remarkable, so that it will virtually sell itself. This book offers a way to create free prizes quickly, cheaply, and reliably and persuade others in your organization to help you bring them to life. Seth Godin is an entrepreneur, a sought-after lecturer, a monthly columnist for Fast Company, and an all-around business gadfly. He’s the bestselling author of Permission Marketing, Unleashing the Ideavirus, The Big Red Fez, Survival Is Not Enough, and Purple Cow.